The overpressure protector consists of a spring loaded piston valve. Under normal pressure conditions the spring holds the valve open. When the system pressure exceeds the set pressure, the force exerted by the spring is overcome and the valve closes. The valve will remain closed until the system pressure drops approx. 25 % below the closing pressure, where-upon the force of the spring will open the valve. Factory setting see data sheet. 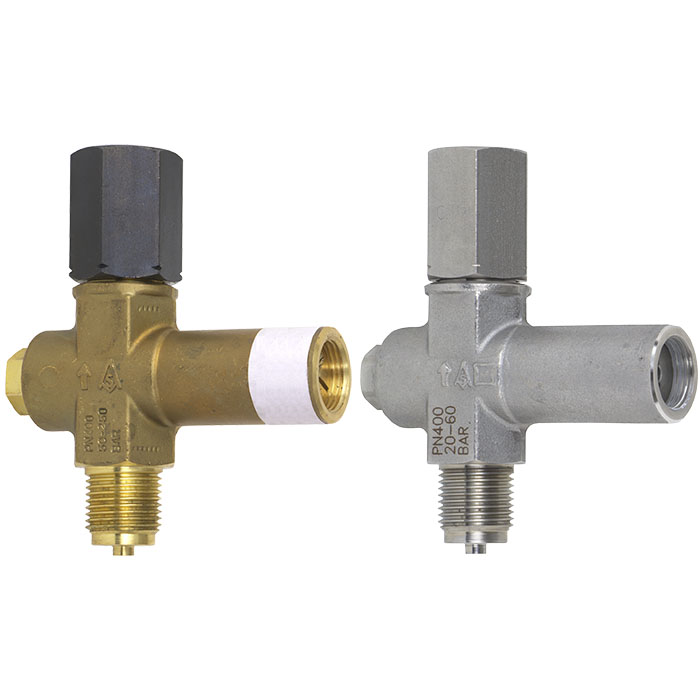 Overpressure protectors must not be used as control devices! The protector is set to 1.1 x maximum scale value when ordered together with a pressure gauge. Material brass (with union nut from steel, rust-protected) or stainless steel (with union nut from stainless steel 1.4571) selectable.